Our camps give your families the option of ALL WEEK (Mon-Fri 9am-4pm), 4 DAY (Flexible 9am-4pm), ALL DAY (9am – 4pm) or HALF DAYS (9am – 12pm or 1pm – 4pm). They are held at our partner's Next Level Sports Group's indoor facility. Be sure to register early to reserve you son or daughter a spot in our upcoming camps. 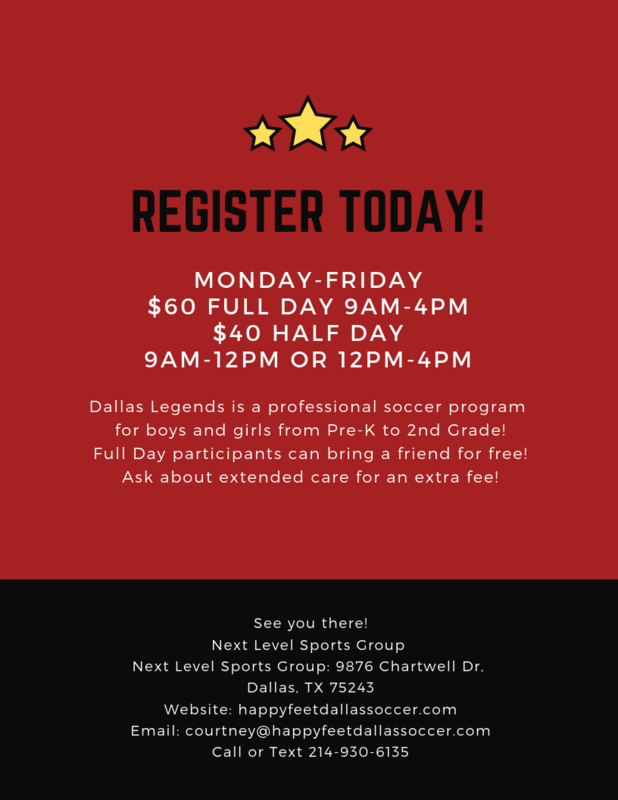 These are great sports camps for the North Dallas, East Dallas, Lake Highlands, White Rock, Garland, Mesquite, Preston Hollow, Park Cities, Richardson and Wylie area. FOR PLAYERS – our camps are true to the Legends Brave, Creative, Leadership philosophy, built around our Skills development program. Players will have a fun time, with plenty of games interspersed throughout the day, as they learn fakes & moves, starting with static technique progressing through to directional dynamic skills & pressure training. We also utilize small-sided games & focus on finishing skills. EARLY/LATE CARE: ……… Add $10 per day for early drop-off and/or late pick-up (family rate) payable on day-of. WHAT TO BRING? Water, healthy lunch, smiles, an open mind & positive spirit. Wear soccer shorts, jersey, shin guards & indoor shoes (Bring cleats for morning outdoor play at facility - weather/temperature dependent). WHY LEGENDS? With a 25 year history started in Kansas City with KC Legends, our curriculum based program will improve your child's fakes & moves and finishing skills, and will improve their confidence and self esteem. 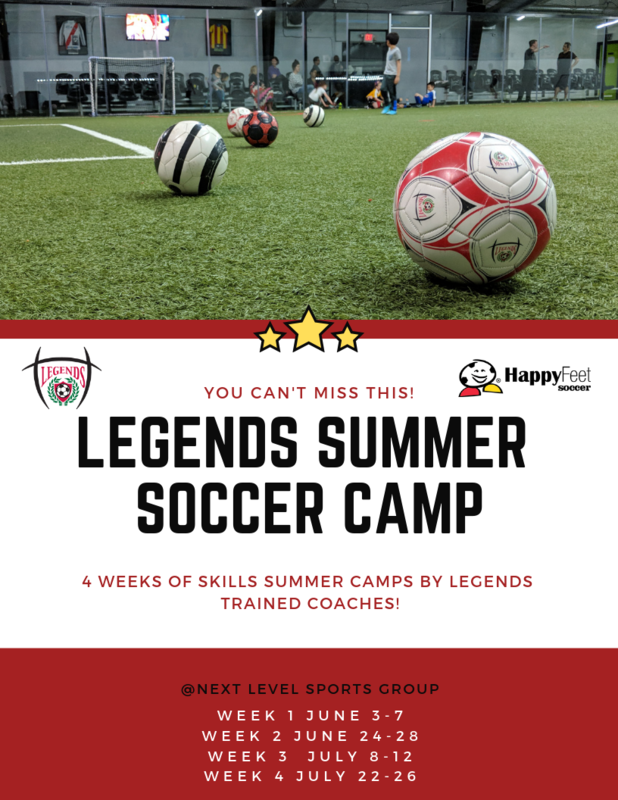 LEARN MORE: Call us at 214-930-6135 to learn more about our camps and other services such as Academy Membership & Academy League Play.